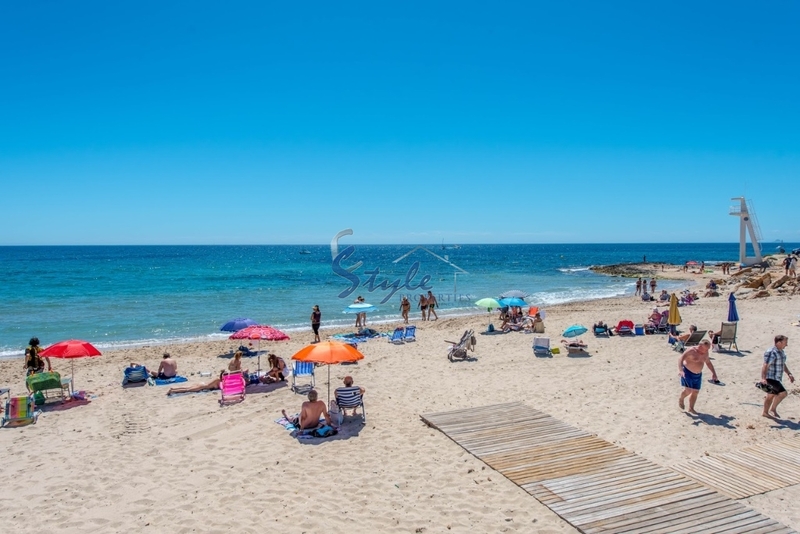 Beach side apartment is for sale in Dehesa de Campoamor. It is located on the 1st floor of a 2-storey building with an elevator. It is south facing and is only 600 meters away from one of the best beaches on the coast of Costa Blanca. The apartment has 2 bedrooms and 2 bathrooms, separate kitchen, living room, lovely terrace of 8m2 offering spectacular views. The apartment is equipped with AC, will be sold partly furnished, the price includes parking space. There is a pool in the community. We have received your request regarding the property reference: 2523. One of our agents will contact you as soon as possible.